We are having horrible August heat (107 heat index) and I think my poppies will bite the dust this week. Here are my poppies at their peak. These came from my great-great grandmother's poppy bed which is still blooming in my hometown of Marceline. Oh that picture of the poppies made me think of The Wizard of Oz. They are so pretty! Oh, thank you for the comment. I was so enthralled by your poppies from Marceline... 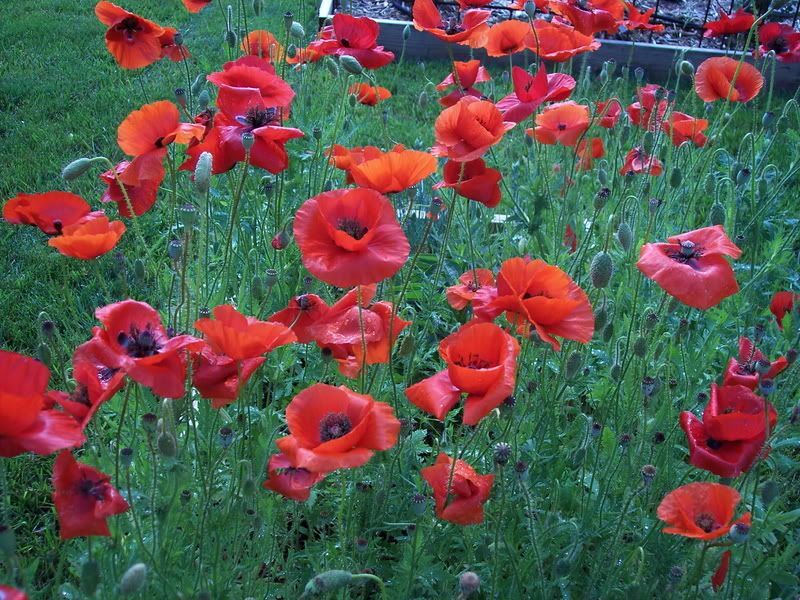 Hitting petty close to home PLUS... my post this weekend will be about my gramma's poppies... in honor of what would have been her 108th birthday on August 11th. Lovely blog.